Last night I was meant to be out looking for a decent red stag but I came across a Fallow buck that was behaving oddly. 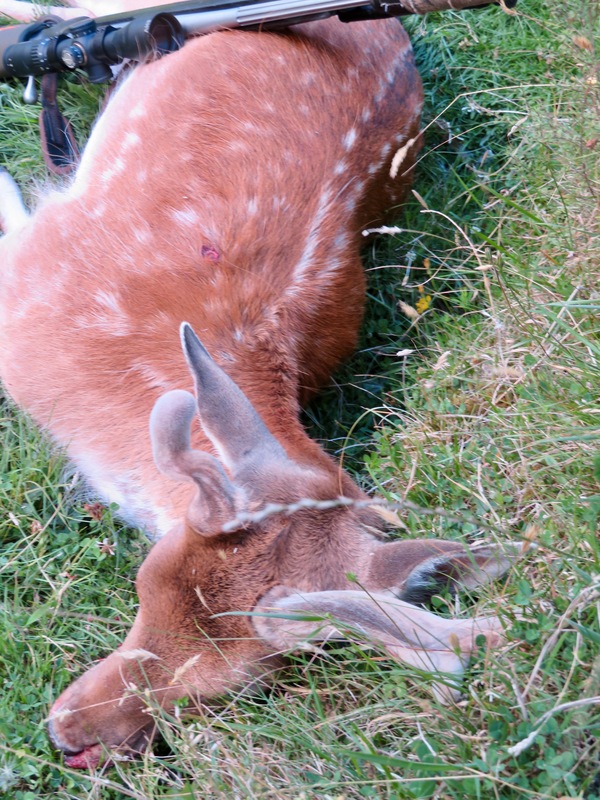 He came out onto a clearing and grazed for a while and then lay down, but continued to graze from his laying position. On closer inspection he only had one fully formed antler, so I guessed that he had some sort of injury. I watched for a while and ummed and aarred about shooting him and in the end I decided that because he was a bit thin and maybe suffering I would do the decent thing. I closed the distance to 200 yards and dispatched him with the 300saum. The pics will reveal what I found. 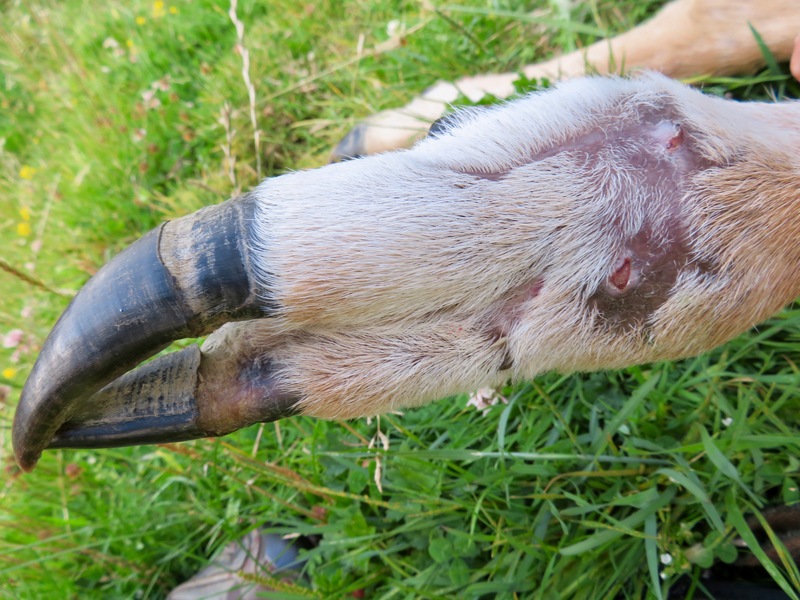 Its quite common for a deer with a wonky antler to have an injury on the opposite side of his body. This was the case here. He wasn't as thin as I thought he was so his meat was worth retrieving. 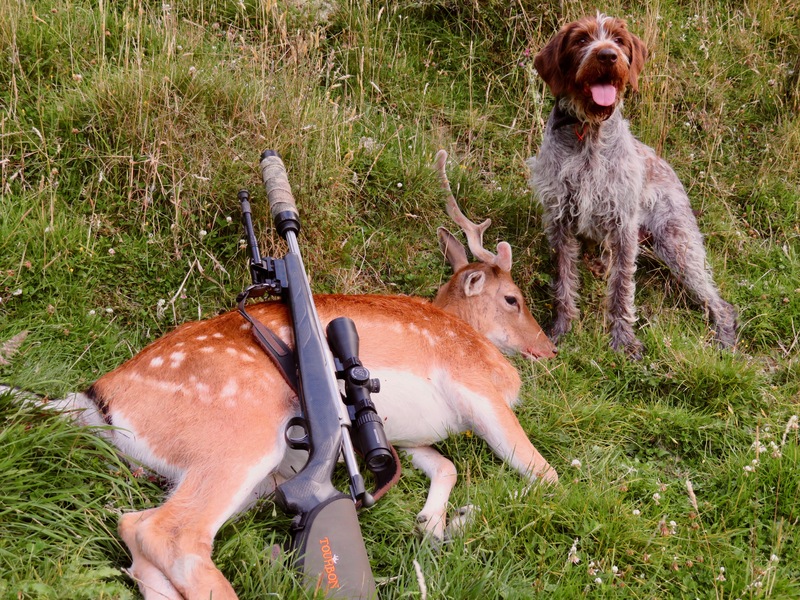 It was rather nice shooting something early evening and having plenty of time to butcher it and walk out. I got back to my vehicle at 9.45pm. sneeze, Wildman, Shootm and 12 others like this. great to see Tilly out and about Mate,that photo is one of the few where she looks really happy. plurry nice skin on that one too,your floor must be totally covered by now lol. The skins usually have vicious holes through them. She's been a different dog since her op. Likely caused getting caught up in the top wires of a fence. Fallow often do that and lots of them never escape. awesome to hear you may have issues sorted....may the two of you have many more happy years roaming the hills. Nice job, and you are right about getting an early (ish) arrival home, especially this time of year. "My sister got a horse and it broke it's leg, so I had to shoot it................and now it has a broken leg and a gunshot wound. I don't know why your supposed to shoot it, maybe it promotes the healing process. If he's not better by next week I'm going to shoot him again." @Nathan F a big hole in the other side ruined it.